CHIANG MAI THAILAND-APRIL 13:Chiangmai Songkran festival.The tradition of bathing the Buddha Phra Singh marched on an annual basis. 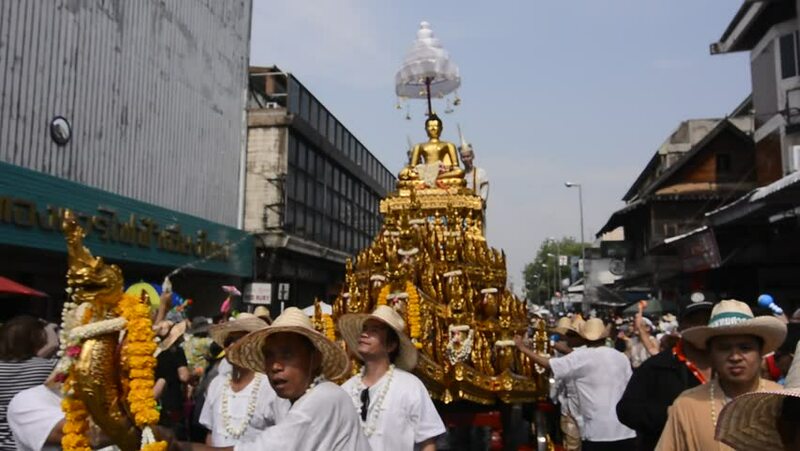 With respect to faith.on April 13,2014 in Chiang mai,Thailand. hd00:29Moscow, Russia - May 9: Immortal Regiment marches on. Moscow celebrates 71-th Victory Day anniversary on May 9, 2016 in Moscow. 4k00:48Viareggio, Italy: March 3, 2019: carnival parade of carriages. Different today's concept and problems represented by smartphone ossessive use and more.